Search for red squirrels and discover their way of life in a changing world. 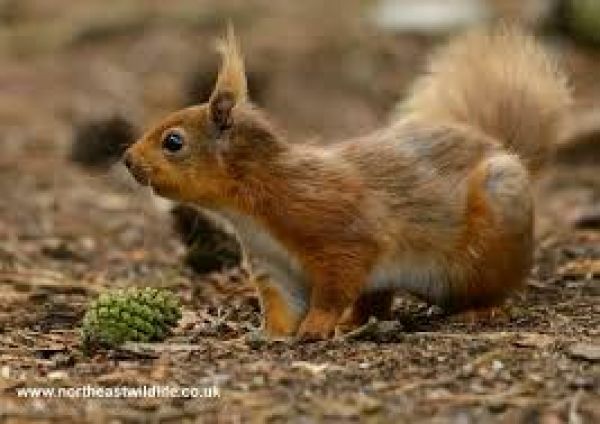 Join professional naturalist, Bruce Ferguson, to track down one of Britain’s best loved animals, the red squirrel. Much threatened by its American cousin the grey, Kielder is one of its last strongholds in England. We’ll explore its forest home looking for the clues it leaves behind and also hopefully spotting the elusive creature itself. Dress for the weather, strong footwear, and midge repellent.